le chaudron de vulcain – April 15 , 2018. EN. 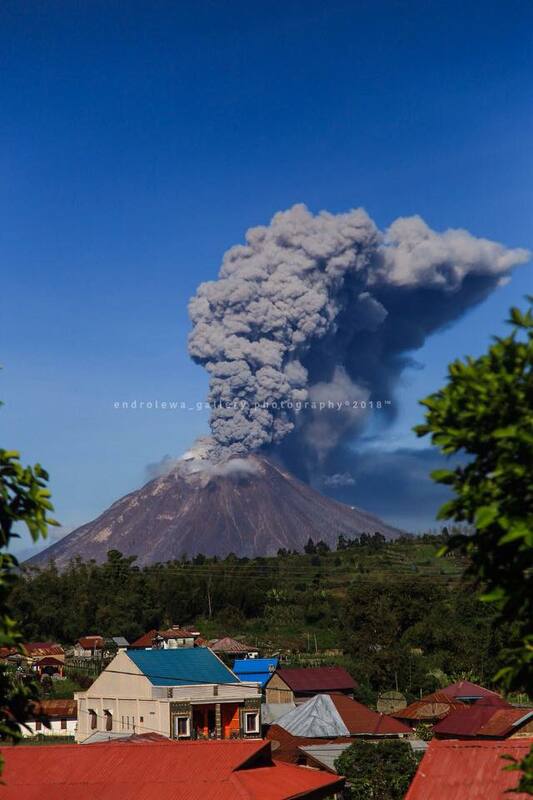 Ambae , Sinabung , Osorno , Piton de la Fournaise . Home / Ambae / April 15 , 2018. EN. 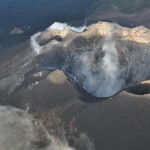 Ambae , Sinabung , Osorno , Piton de la Fournaise . Vanuatu island to evacuate again as volcano erupts . 13 APRIL 2018. 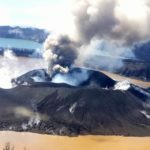 Villagers on the Vanuatu island of Ambae were facing their second evacuation in seven months Friday after a volcano rumbled back to life and rained ash on their homes. 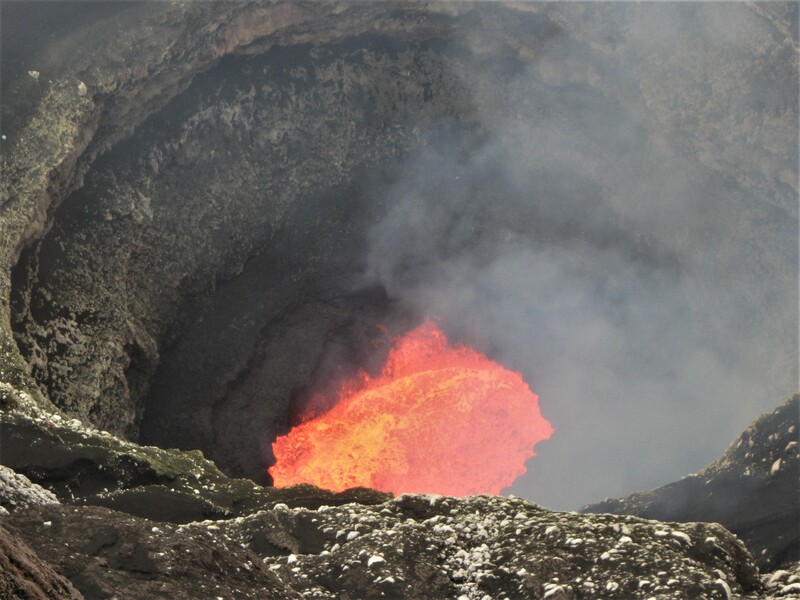 « Last year’s evacuation was conducted in haste, amidst fears of a major eruption, » he told the Daily Post newspaper. 14 APRIL 2018. 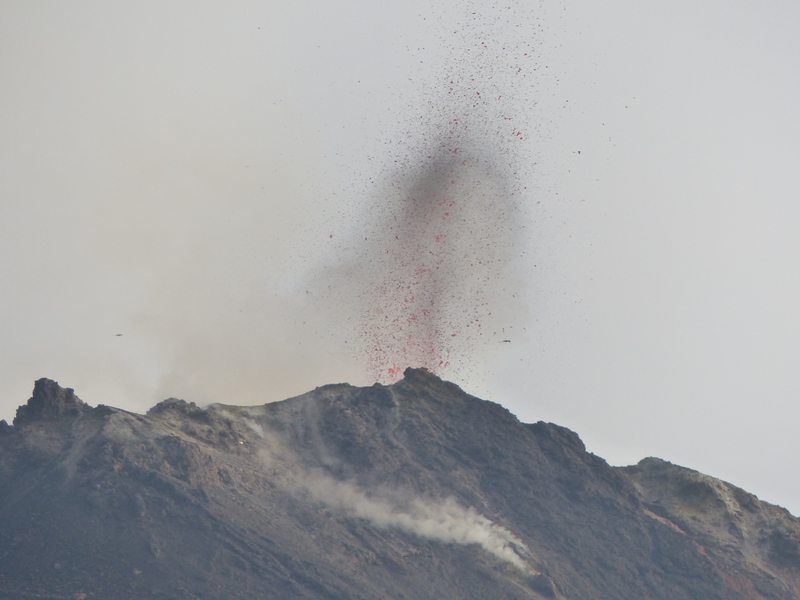 William Bice Qorig, Rector, has shared photos of the destruction of Ash Fall from Manaro Voui Volcano on North Ambae. “Excessive ash fell during the night on the 8th and 9th of April, 2018,” the North Ambae Anglican Church Leader informed Daily Post. 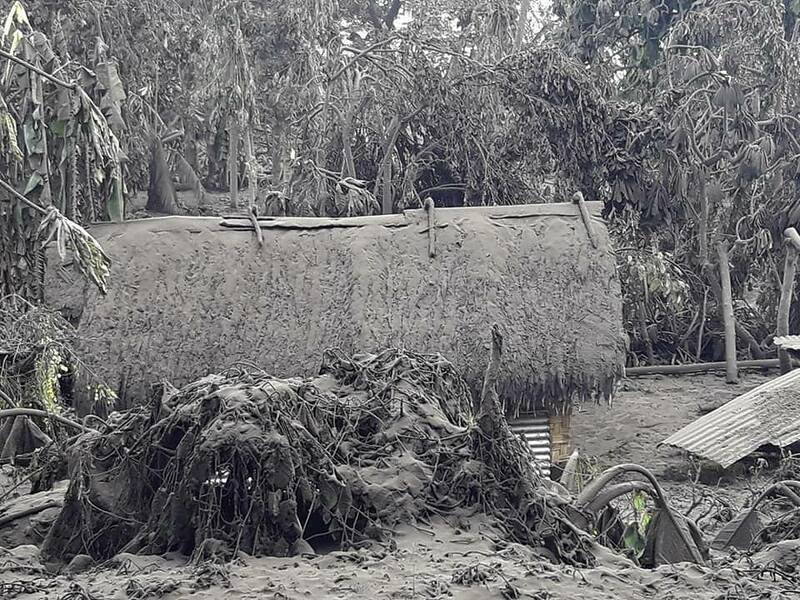 “Ash 20 – 30cm thick has destroyed houses and churches in the Lombaha District on north Ambae. “The District continues to experience ash, acid rain, sulphur gas and stones, falling from the volcano. Father Qorig said the road is destroyed, due to trees falling on the road due to the ash fall and heavy rains. One tree fell across the road near the Catholic Church, blocking the way for all vehicles passing through. “If supplies are available soon, they will need to travel by boat and the remainder of the journey will be on foot and man handled to clear the obstacle of the tree on the road,” said Father Qorig. 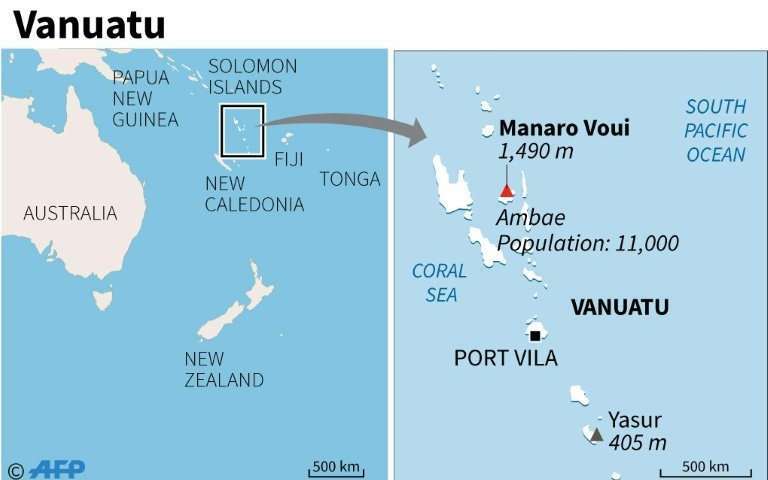 Source : Phys.org , Vanuatu Daily Post . Best estimate of ash-cloud top is around 11072 FT (3460 M) above sea level, may be higher than what can be observed clearly. Source of height data: ground observer. 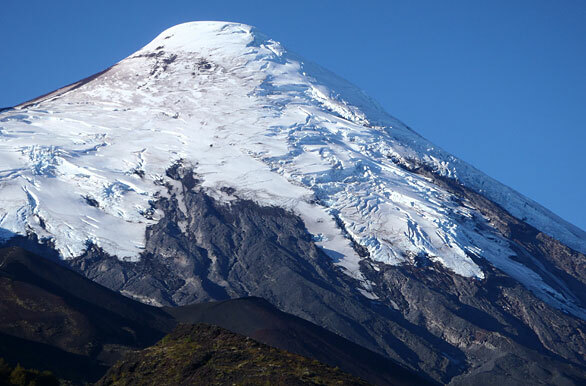 On Saturday 14 April at 13:35 local time (16:35 GMT), monitoring stations near the Osorno volcano recorded an earthquake associated with rock fracturing (Volcano-Tectonic type). 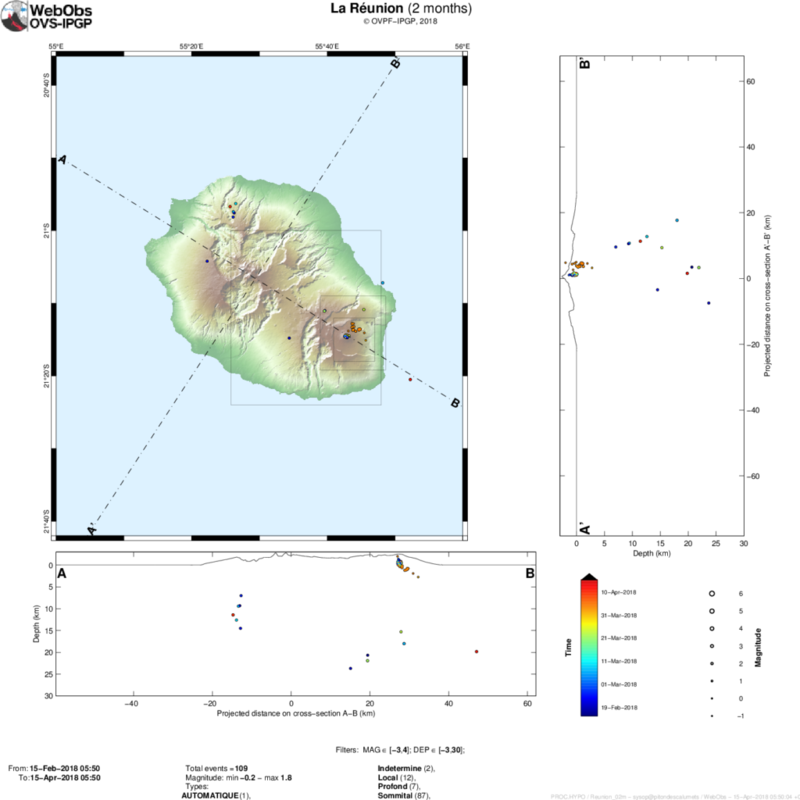 The earthquake was located 3.1 km northwest (NW) of the volcano. 1 replica was recorded, of smaller magnitude. There is no information on the perception of the main event. Sernageomin monitors online and informs on a timely basis of any changes in volcanic activity in the country. Photo : Cristina Sabaliauskas . Location of earthquakes over 2 months. Only localizable earthquakes have been represented on the map. The observatory records seismic events not shown on this map because they are not localizable due to their low magnitude. To see the number of earthquakes detected by the Observatory’s networks, you can refer to its last Activity Bulletin. – The GPS of the zone summit record an inflation, witnessing the putting in pressure of a superficial source. – GPS in the far field record inflation, witnessing the setting in pressure of a deep source. Illustration of the summit deformation over 2 months. 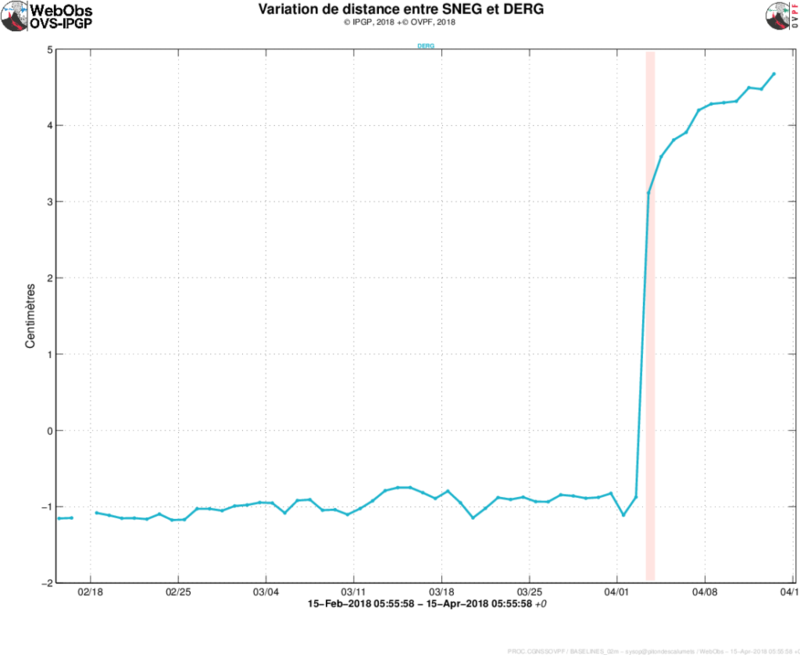 Here is shown a baseline (variation of distance between two GPS receivers) crossing the crater Dolomieu (see location). A rise is synonymous with elongation and therefore swelling of the volcano; conversely, a decrease is synonymous with contraction and therefore deflation of the volcano. Any periods colored in light pink correspond to eruptions. Concentrations of H2S and SO2 at the top: below or near the detection limit.